• FCA US expects 10% U.S. retail sales growth this year. • Freshened Charger, Challenger and 300 should boost sales. • Dealers want more EcoDiesels and Hellcats. SAN FRANCISCO -- FCA US is targeting 10 percent growth in its U.S. retail sales for 2015 as new vehicles arrive in segments in which the automaker has no offerings. The Jeep Renegade, Ram ProMaster City and Fiat 500X, all assembled in Europe, are due in showrooms in volume in the first half of the year. They should help extend the automaker's 57-month streak of year-over-year sales gains. The ProMaster City and Renegade are expected on dealer lots within the next six weeks, while the Fiat 500X is scheduled to arrive late this spring. 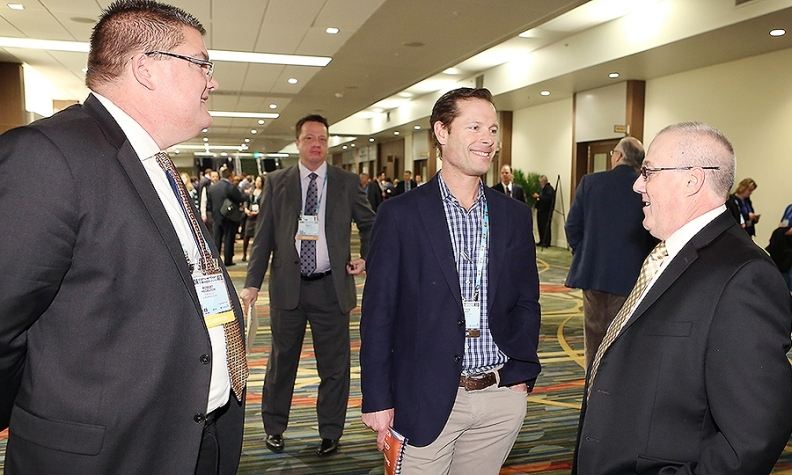 Executives told several hundred dealers at the NADA convention to expect retail sales to reach to 1.8 million this year from 1.6 million in 2014. The automaker finished 2014 with combined U.S. fleet and retail sales up 17 percent to 2.1 million. The ProMaster City is a small commercial van, available in five-passenger and cargo versions, that will compete with the Ford Transit Connect and Nissan NV200. The Renegade is a subcompact SUV made in Italy in the same plant that will build the Fiat 500X subcompact crossover. FCA US executives also suggested that the recently freshened lineup of L-body cars -- the Chrysler 300 and Dodge Charger and Challenger -- should help those vehicles' sales too. "The dealers are pretty happy with the way things are going," said Harry Larson, of Larson Motors in Nebraska City, Neb. Larson holds Chrysler, Jeep, Dodge, Ram, Ford and Chevrolet franchises in his rural dealership, and sells about 1,000 new vehicles a year. Larson said executives laid out their future product plans. "It looks to me like [FCA US] wants to strike while the iron is hot." Other attendees said dealers posed few questions, mostly about allocation of hot products such as the Ram 1500 EcoDiesel and the 707-hp 2015 Charger and Challenger SRT Hellcats. They also asked about the automaker's volume growth program, a controversial stair-step incentive program. "Overall, it's a good time to be a Chrysler dealer," said Franklin McLarty, CEO of RML Automotive in Little Rock, Ark. "Things are going pretty good."